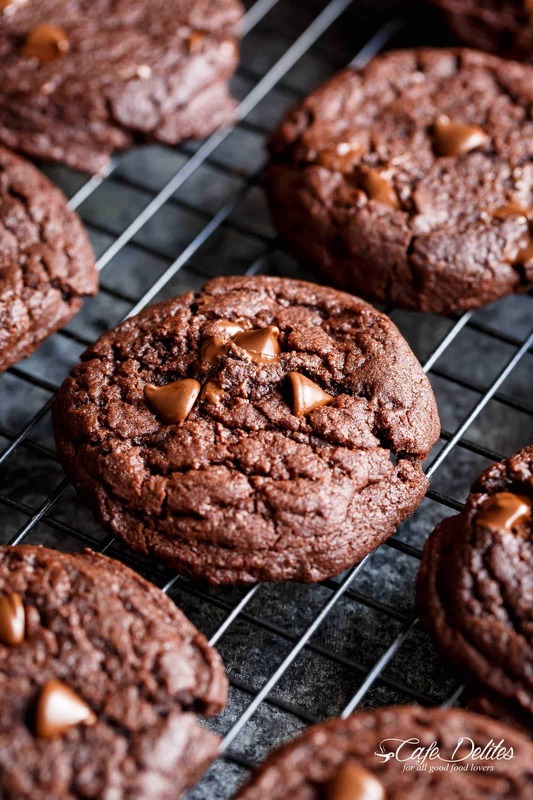 Best Fudgy Chocolate Brownie Cookies are a one bowl wonder ready in minutes! 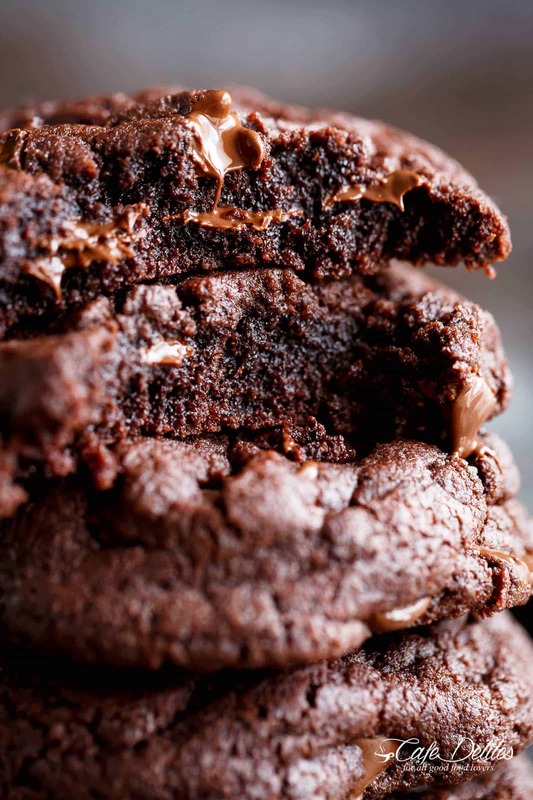 Once you try one of these Fudgy Chocolate Brownie Cookies, you’ll never have a brownie again! 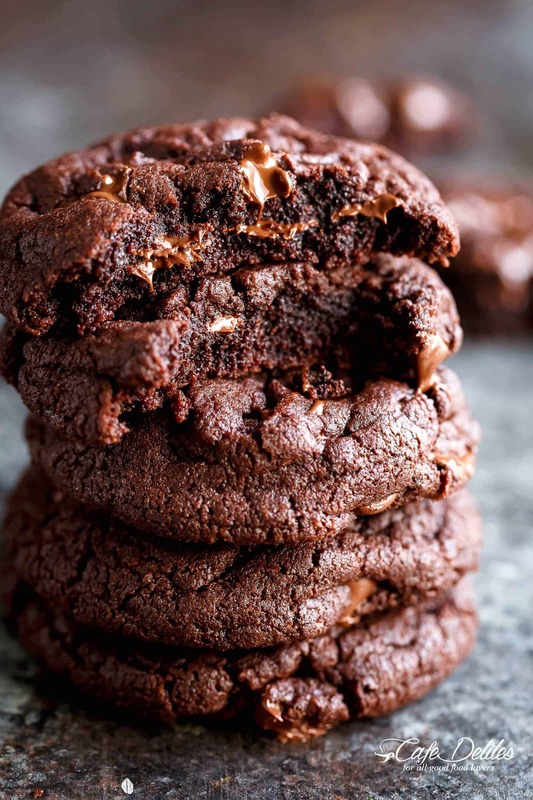 Okay, okay, so that statement may sound far fetched, however, these cookies are so chocolatey → soft → chewy → super fudgy → gooey on the inside, with a crispy/crunchy outer shell. Not only does the entire pan disappear in seconds, they are renamed ‘woooaahh! BETTER THAN BROWNIES!‘ by everyone who tries them! These brownie cookies took four attempts; three re-bakes JUST TO MAKE SURE; and SO MANY BAGS OF CHOCOLATE CHIPS to nail this one and get it right for you guys. I took my Best Fudgy Cocoa Brownies, played around with the measurements and finally nailed it. Texture is so important to me when it comes to what I’m craving, and usually my cravings are irrational and complicated. So when my brain switched into high gear wanting chewy, soft, fudgy AND crispy chocolate somethings, ALL rolled in ONE, it was on like Donkey Kong. Texture and richness aside, what’s the best thing about these cookies. One bowl. ONE BOWL PEOPLE. No melting chocolate > no saucepans or pots > no waiting around chilling dough > no whipping yourselves into a stressful chaos beating eggs or egg whites, and NO WEIRD INGREDIENTS. 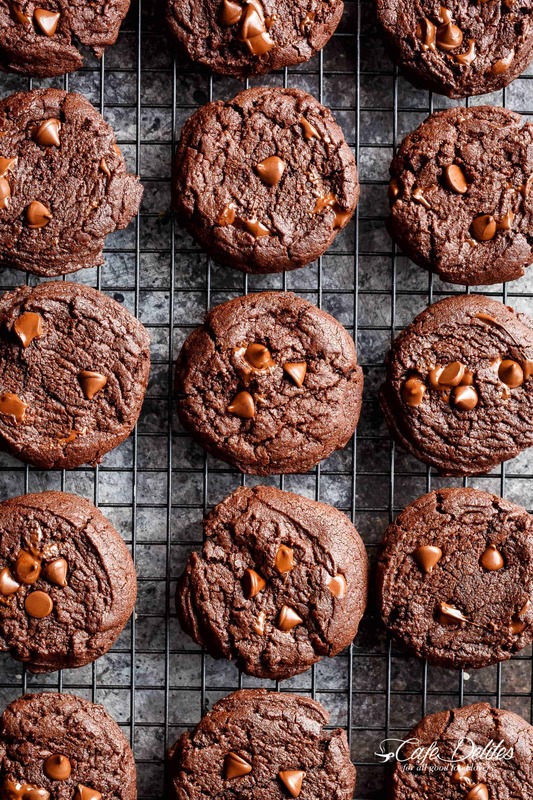 One bowl + easy pantry ingredients + minimal steps = Best Fudgy Chocolate Brownie Cookies. Guaranteed. There is only one thing I want/need to say. If you change ANYTHING (ingredients, directions, baking, measurements), and they fail? It’s on you. Why am I saying this? Because so many readers want to change tried and tested recipes, then come back and abuse us when they don’t work out. DO NOT change anything. DO NOT substitute ‘this’ sugar for ‘that’ sugar, or flour for shredded coconut, or butter for lard, or cocoa powder for drinking chocolate, for example. PLEASE for the love of cookies: FOLLOW THE RECIPE. What happens when you follow the recipe? 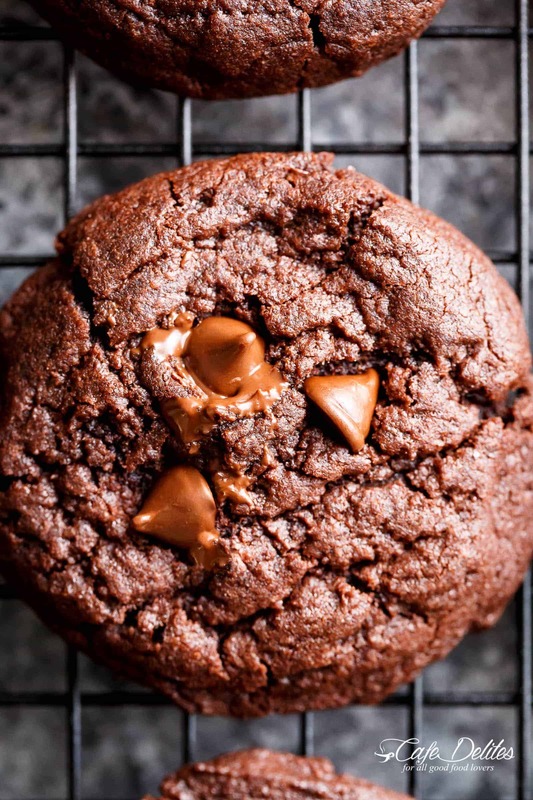 Best Fudgy Chocolate Brownie Cookies are a one bowl wonder ready in minutes, and named better than a brownie cookie! They disappear in seconds! Preheat oven to 350°F | 175°C. Line 2 cookie sheets or baking trays with parchment paper (baking paper). In a medium-sized bowl, mix together the cocoa powder, white sugar, butter and vegetable oil. Beat in egg and vanilla until fully incorporated. Add the flour, baking powder, and salt; stir the dry ingredients first before mixing them through the wet ingredients until a dough forms (do not over beat). Fold in the chocolate chips. Scoop out 1-2 tablespoonful of dough with a cookie scoop (or small ice cream scoop), and place onto prepared baking sheets. Bake in hot preheated oven for 12 minutes. The cookies will come out soft from the oven but will harden up as they cool. Allow to cool on the cookie sheet for 10 minutes before transferring to wire racks to cool.